Spoiler: The strangest building on the planet, via popular vote, is The Church of Hallgrimur (Reykjavik, Iceland). In an article in September, “The Man Who Made Wildly Imaginative, Gloriously Disobedient Buildings”, in the New York Times Style magazine, the author wonders why Bruce Goff is no longer appreciated. I’d thought that he was, but apparently his buildings are falling like flies. NA M is still not officially affiliated with any established organisations or institutions. It is reliant on the contributions of everyone that is passionate and generous with their time, energy with their presentations and hosting. Most of NA M’s recent updates have been on their Facebook page. A few people have asked recently what ever came of the investigations into the wall collapse. For those not familiar, a long section of brick wall fell to the footpath at the C.U.B. site in Swanston Street one windy day late in March 2013. Of the many people ambling along this busy Melbourne street, three young students were killed. 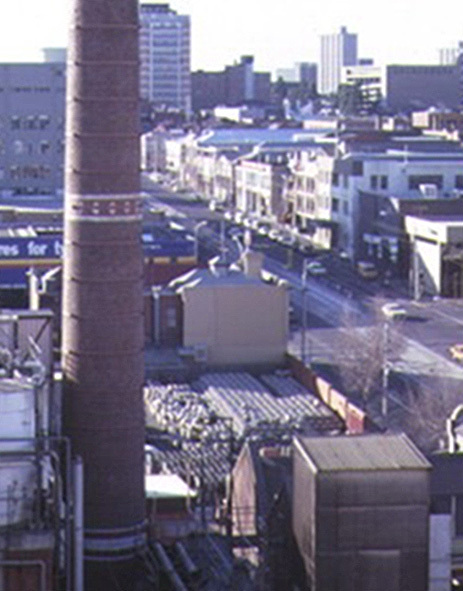 Many investigations were launched by organisations including the Coroner’s Court, the police and Worksafe. I last reported on the Magistrate’s Court hearings in 2015, and had been wondering myself what has happened since. I had been expecting the coronial inquiry to eventually kick off, which it was going to do at the close of the court cases. There were only a couple of direction hearings in December 2013, where the site owner’s lawyers were rumoured to be numerous and obstructive at every turn. The hearings paused when the case went to the Magistrate’s Court in 2014. You might also want to check out the new monograph, 3+2: Durbach Block Jaggers, published in 2017 by Uro. 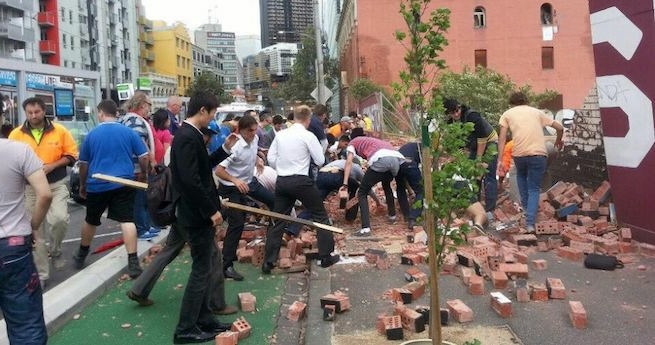 An old brick wall collapsed in central Melbourne two years ago, killing three young students walking past on a busy footpath. I cobbled together a history of the wall and published it. Then time passed. Occasional news articles focused on fragments of the official investigations, but it was (and is) hard to get the big picture on what has happened since March 2013. In summary: not a lot.